When it comes to edible flowers, there are actually a lot more varieties that you can choose from than I ever knew. A lot of them grow in your very own garden! 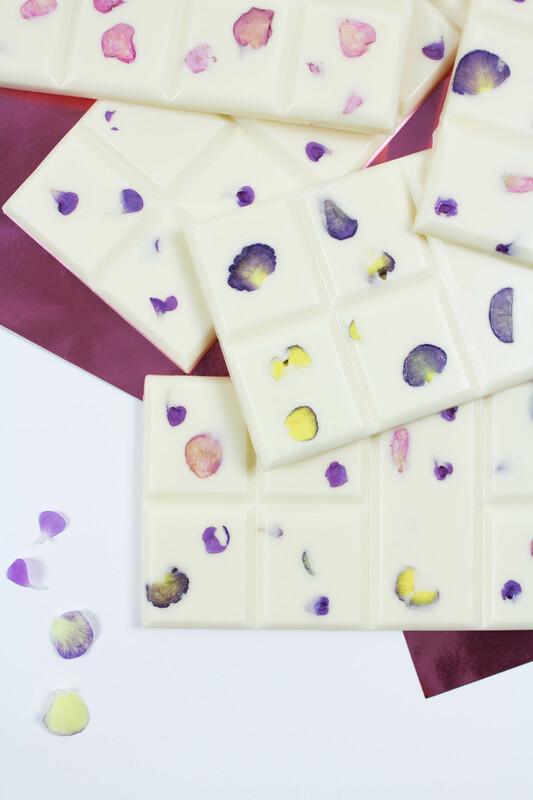 For these bars, I used pansies, violets, and geraniums. 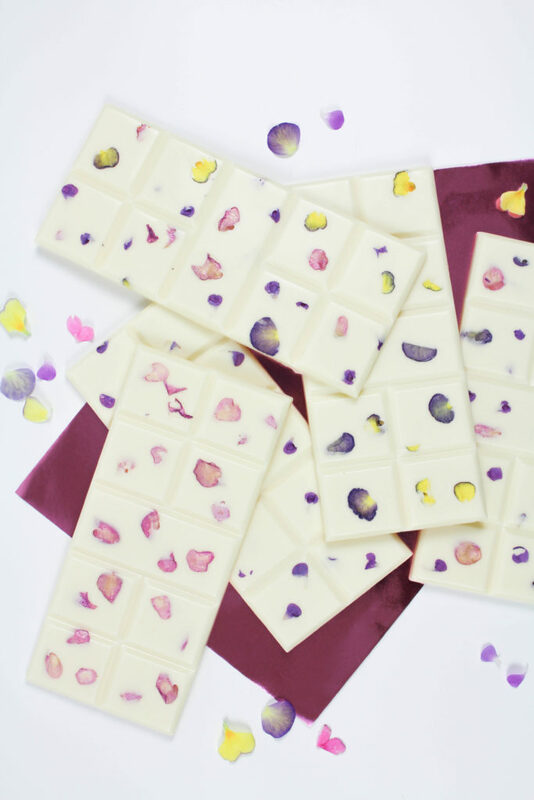 You can find an awesome full list of edible flowers, tips, and warnings here. The best type of flowers to use are ones you grow yourself. This way, you’ll know they are clean, pest free, and haven’t been sprayed with any pesticides. If you’re not interested in growing your own, be careful and pick blooms that are organic. 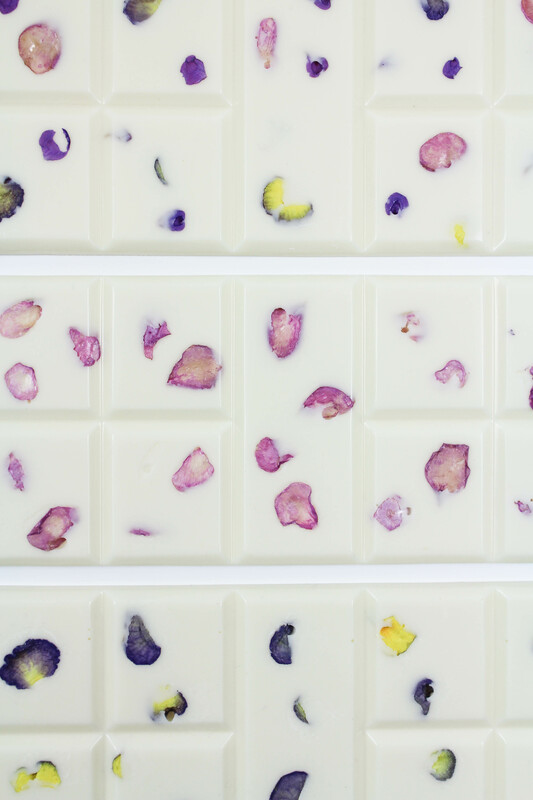 Decide which flowers you want to use, and remove enough petals from the plant to fill your mold. 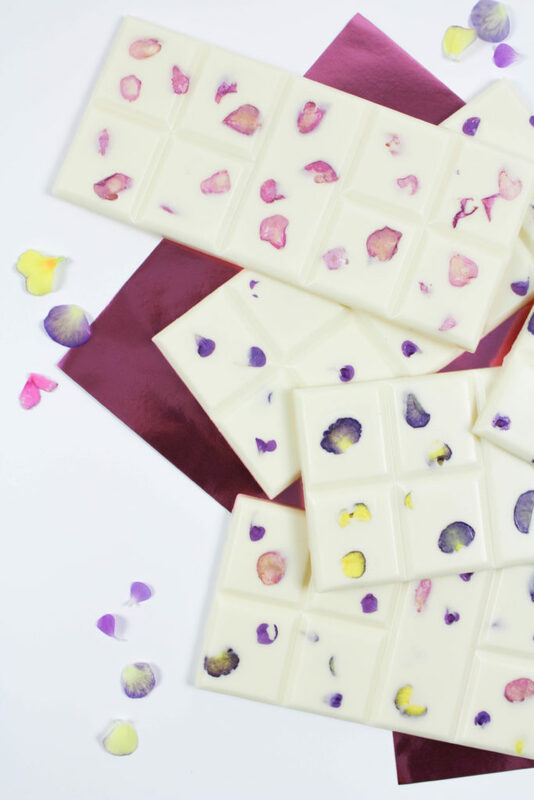 Don’t cover the whole mold, because you still want to be able to see the chocolate! Place the petals into the bottom of your mold in whichever places you want them to be on the top of your finished bar. Melt your chocolate according to the package directions. 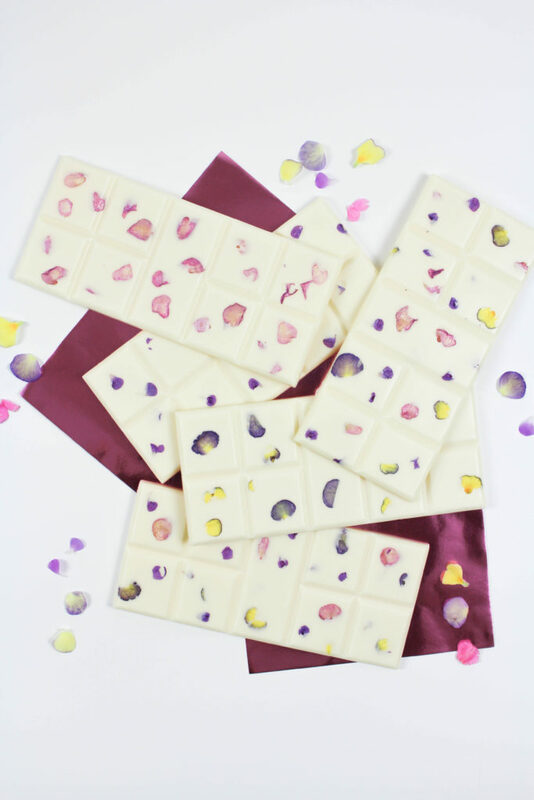 You can use the microwave for candy melts, or use my favorite way to melt chocolate. 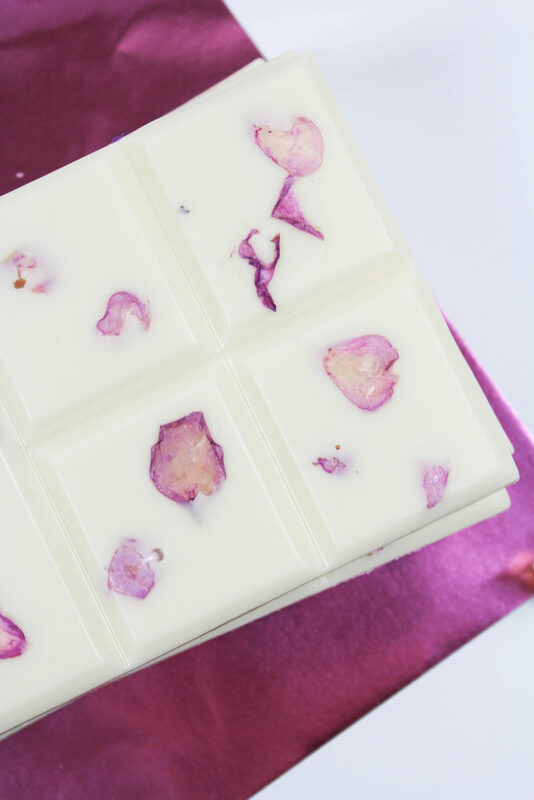 Once your chocolate is melted and ready to go, pour it slowly into the mold, ensuring to cover all of the petals but not to overfill your mold. You don’t need as much as you think! Shake the mold gently to fill in an gaps or empty spaces and then gently tap on a flat surface to remove any air bubbles. Place into the freezer for about 15 minutes for the chocolate to harden. 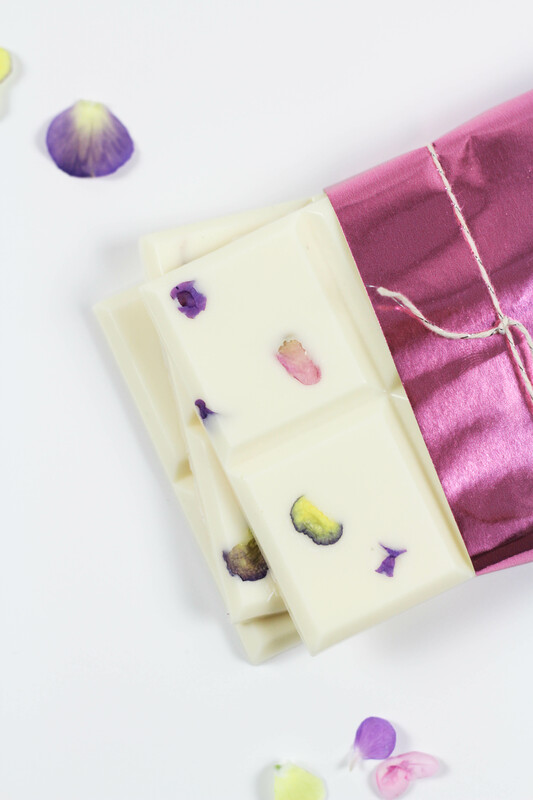 Gently remove the bar from the mold and eat or wrap for gifting! 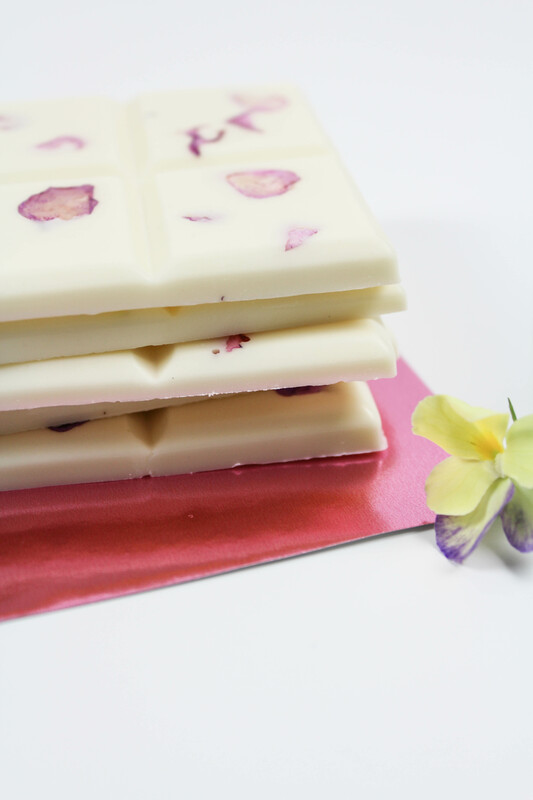 You can choose to use only one type of flower for each of your edible floral chocolate bars, or you can mix different petals from different plants for a bit of variety! 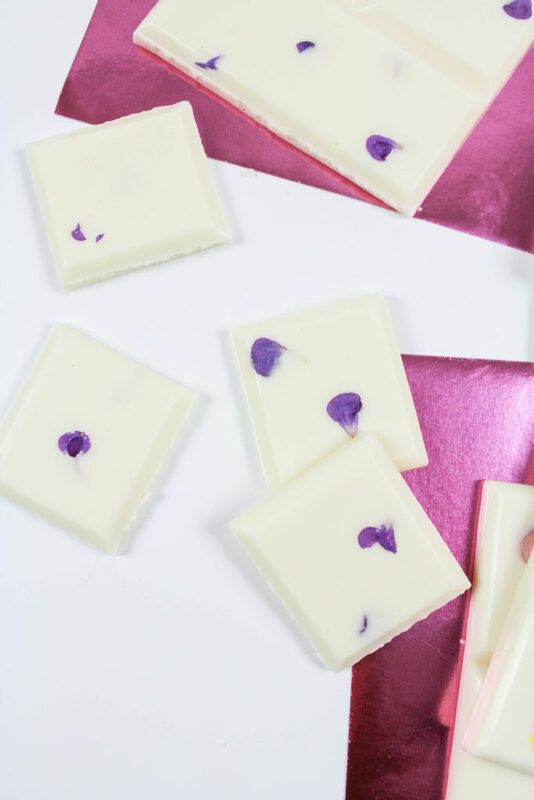 They are so fun and easy to make and gorgeous to boot! Who wouldn’t want to receive one of these pretty little bars? !